Right now, I'm really up in arms about chicken. I don't even remember how the conversation began, but I started chatting with some folks on Twitter about Chick-Fil-A, arguably the best fast food chicken joint in the game. Let's be real: Chick-Fil-A's food is delicious. But their evangelicalism? Less so. It's not like this is anything new or that I'm saying anything special. It's just that the more I think about Chick-Fil-A, the more frustrated I get. As advertised on a plaque at corporate headquarters, Chick-Fil-A's company mission is to "glorify God." OK, that makes me a little uncomfortable (is an atheist any less qualified to serve chicken than a believer? ), but if that were the only issue, I could get over it. As it stands, that's not the only issue. There's also the fact that the company's founder asks all Chick-Fil-A employees to adopt Christian principles - at least while on the job. "You don't have to be a Christian to work at Chick-fil-A," says founder S. Truett Cathy, "but we ask you to base your business on biblical principles because they work." To encourage this value set, many franchise owners host in-store Bible studies that offer free breakfast to attendees - and at some stores, bringing in your church bulletin will get you a free sandwich, too. Did I mention that the company prefers married workers because it feels they're more "productive"? (One in three store owners attends a relationship-building seminar at a Christian college, funded by the company.) And that they screen prospective franchise owners' family members to ensure that their store owners are effectively managing their households? Relevant, I know. Cathy, an evangelical Baptist, must be onto something, because the store's employee turnover rate is a mere 5% a year - but that doesn't make me any more comfortable with the concept or the fact that he regularly refers to Chick-Fil-A as "His gift." That's a capital H. Of course, sometimes there's turnover - like in 2002, when a Muslim manager was fired after refusing to participate in a prayer to Jesus at a company training workshop. 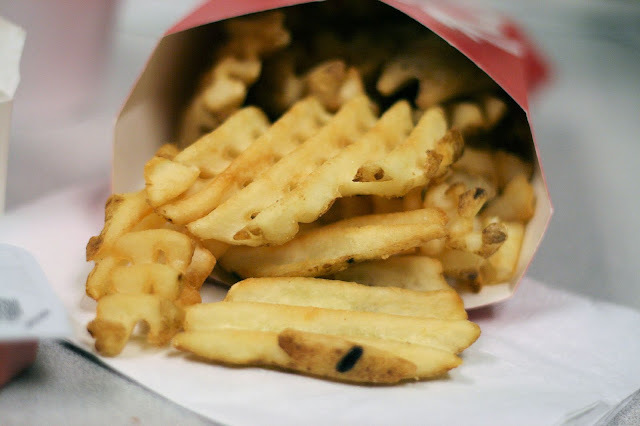 Furthermore, while I love me some waffle fries, I don't want my waffle fries funding inequality, which is how Cathy spends a good chunk of his fortune. Earlier this year, a Pennsylvania Chick-Fil-A store made headlines when it catered (for free) a blatantly anti-gay marital seminar- but that's nothing compared to the fact that Cathy & Chick-Fil-A both tithe a percentage of annual income to WinScape, the company's charitable institution. WinScape's top donations go to the National Christian Foundation, which then makes grants to other groups - including Focus on the Family, Family Life, and the Family Research Council. To add insult to injury, Chick-Fil-A recently partnered with Focus on the Family to distribute copies of an FoF's radio show (Bible-based, of course!) with every kid’s meal. Would you like some proselytizing with those chicken nuggets? 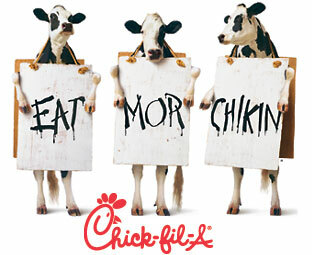 Chick-Fil-A has said it will no longer donate (directly) to groups with political agendas, including those that are anti-marriage equality, but that doesn't mean WinScape won't - with its Chick-Fil-A money. Chick-Fil-A isn't the only company making controversial donations (see also: Target, Best Buy). Chick-Fil-A does plenty of good, too, like, donating to education programs, foster programs & anti-homelessness initiatives. Everything I've read about Cathy & his family lead me to believe that he's a pretty good guy - who is, in my opinion, making some pretty offensive choices with his business. I also understand that we're all entitled to our own beliefs, & that it's likely that many of you won't agree with me here. It's just... how can some of these things not make you angry? I want to eat chicken & waffle fries; I don't want to fund bigotry or promote religious intolerance, inadvertent or not, while doing it. Did I mention that there's no Chick-Fil-A within an hour's drive of me? It makes my decision easier. This is purely a rant. But, but... the waffle friiiiies.